Professional AC repair in Des Moines is a service that you will appreciate as a homeowner or tenant. The AC unit in your home is supposed to be in good working condition all the time, to ensure your house is as comfortable as it should be. You have to make sure you have a professional look into your AC unit so that you have the best chance of keeping it operational for longer and prevent larger problems. Air conditioning repair in Des Moines is a service that will restore your system’s operational status to a point where it works like it did when it was new. AC systems constantly need someone looking into them, in order to avoid breakdowns from time to time and other problems. Our professional team will take care of your AC repair services in Des Moines, and make sure you do not have any nagging problems with the system. With the experience that our professionals have in air conditioning in Des Moines, there is nothing that you have to worry about. Whenever your AC breaks down, get in touch with us and we will have someone help you out. 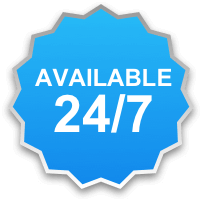 You can also contact us for emergency services, twenty-four hours daily!